The organising committee for the 2018 AusIMM New Zealand Mining Conference now has three pre-conference trips organised as well as an Epithermal Gold Forum as a prelude to the conference at Tauranga. 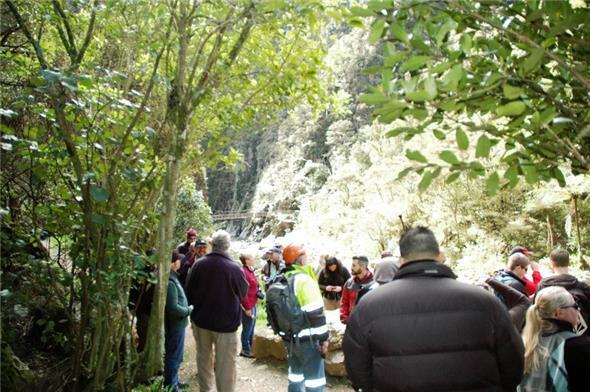 On the Friday before the conference, September 14, there will be an afternoon visit to the Broken Hills underground epithermal gold deposit, while on the Saturday there will be a full day tour for gold enthusiasts of the Karangahake Gorge and gold-silver deposits at Waihi. Then on the Sunday the Epithermal Gold Forum will be held at Trinity Wharf, Tauranga, which is the venue for the two-day conference which will occur on the following Monday and Tuesday. There has already been strong interest in the gold forum from overseas companies. Last year’s conference in Christchurch was preceded by a gold symposium that focused on gold deposits in Otago, including the mines at Macraes for OceanaGold Corporation, and historic regional workings. A geoscience tour of Karangahake Gorge a few years ago.